Eastern Medicinal Modalities Merge with Western Science at Chi's Enterprise. Chi's Enterprise was founded in 1986 by Dr. Chi. Dr. Chi is a highly respected leader in the field of Herbal Alternative Medicine. 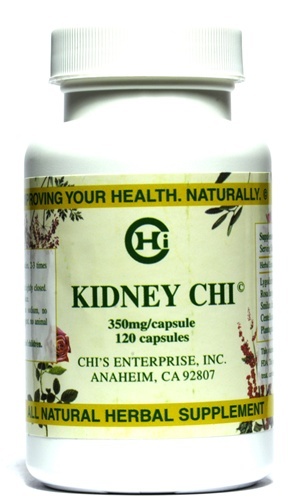 Chi's Enterprise offers research-based herbal supplements to health minded individuals. Dr. Tsu-Tsair Chi received his medical training in China. In addition to being a Board Certified Naturopathic Physician, Dr. Chi studied at Rutgers University and in 1978 earned his PhD in Biochemistry. Dr. Chi's product formulations are designed using both eastern and western methodologies to help in achieving an optimum level of health in a natural way. Looking for information on Kideny Chi?